This innovative textbook uniquely combines an integrated survey of European and English history in the sixteenth century. The book is structured in three parts: the Western european Environment, The Rise of the Great Monarchies and the Crisis of the Great Monarchies. It covers political, social, religious and economic history from the late Renaissance to Mary Stuart and Philip II. It recognises the amount of common belief and interest between the British Isles and Western Europe in the century of the Reformation and Counter-Reformation and indicates how events on one side of the Channel influenced those on the other side. Drawing on many years of classroom experience, Terry Morris presents in a highly readable and concise format the essential elements of narrative and debate while also indicating routes to follow for deeper and more advanced study. 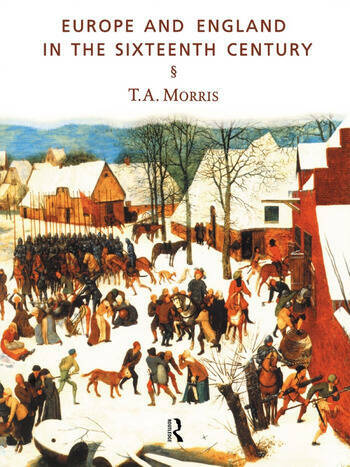 The book will be essential reading for students of early modern history.